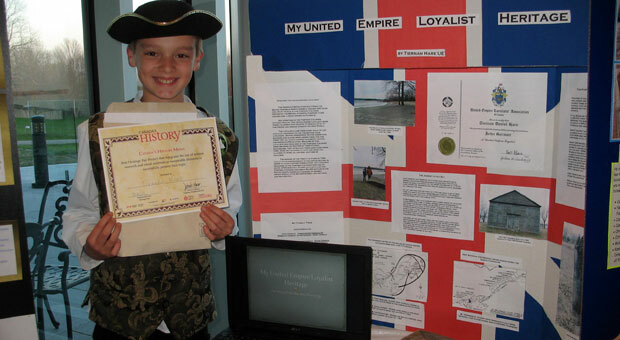 The United Empire Loyalists came to British North America (now Canada) during and after the American Revolution. They came to Canada because they were no longer wanted in the newly formed United States of America because they remained loyal to the British Empire. The United Empire Loyalists came to British North America (now Canada) during and after the American Revolution. They came to Canada because they were no longer wanted in the newly formed United States of America because they remained loyal to the British Empire. Because of their loyalty, they were offered free land plus food and building materials to begin a new life in British North America. This project follows Tiernan’s family from the United States to its new home in Kingston and tells their story through primary documents such as letters, UEL certificates and a map of their journey. What was the impact of the United Empire Loyalists on the history of Canada? The Loyalists changed British North America. Their settlements in what is now Ontario led to the division of the colony of Canada into the provinces of Upper Canada (Ontario) and Lower Canada (Quebec). The motto of Ontario, “Loyal she began, loyal she remains”, was created because of the Loyalists. Why should we care today about the United Empire Loyalists? Although most of the Loyalists settled in New Brunswick and Nova Scotia, smaller numbers settled in present-day Ontario and Quebec. Captain Michael Grass led a small group to settle in Cataraqui (now Kingston). This became one of the first English settlements in Ontario. The great relationship between the military and Kingston that exists today began with the coming of the Loyalists to Cataraqui. The British military garrison was stationed at Fort Frontenac and helped the small community survive during the first few difficult years. Cataraqui became King’s Town and the Loyalists encouraged Governor Simcoe to pass the Constitutional Act in 1791 which created the province of Upper Canada and replaced the French legal system with British common law. The act granted land to individuals rather than to a seigneur as was the practice before the Act. The Loyalists also brought education to Kingston. The first school was founded in Kingston in 1786 by Loyalist, Reverend John Stuart. 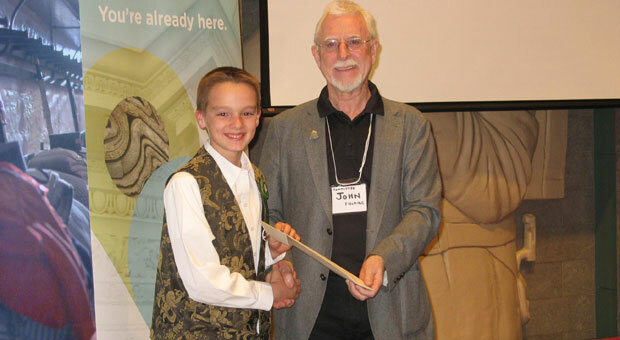 Tiernan received an award from Canada’s History at the Kingston Regional Heritage Fair held at the Fort Henry Discovery Centre, May 1, 2013.